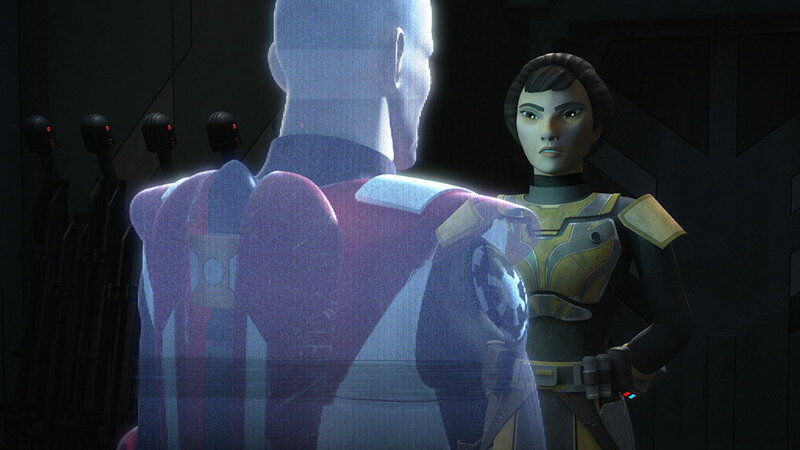 Sabine returns home to face her past, difficult questions, and a deadly enemy in a thrilling episode. 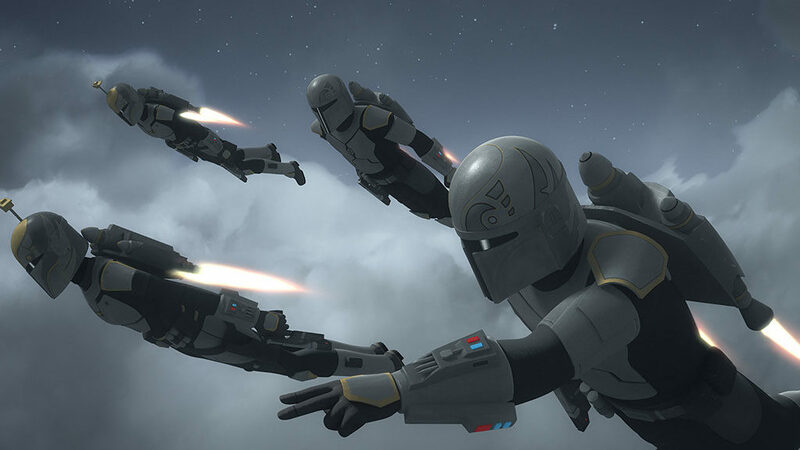 Sabine finally returns home to face her mother — and some hard truths — in “Legacy of Mandalore,” a stirring episode that kicks off the last half of Star Wars Rebels Season Three. 1. Sabine’s return is heralded by fireworks. 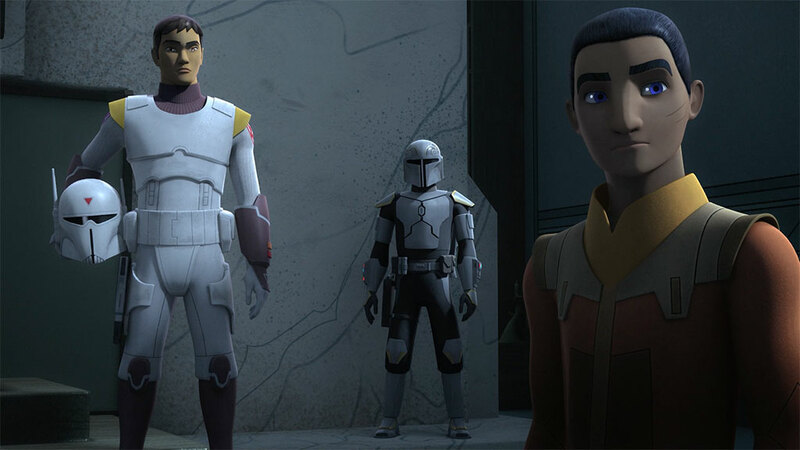 Ezra and Kanan may not believe it (even Fenn Rau seems surprised), but Sabine knows what sort of welcome she’ll get once she enters Krownest airspace. Her piloting skills are the only thing that keeps the crash landing from being worse than it already is. On the plus side, she is greeted by her brother Tristan — in a manner of speaking. 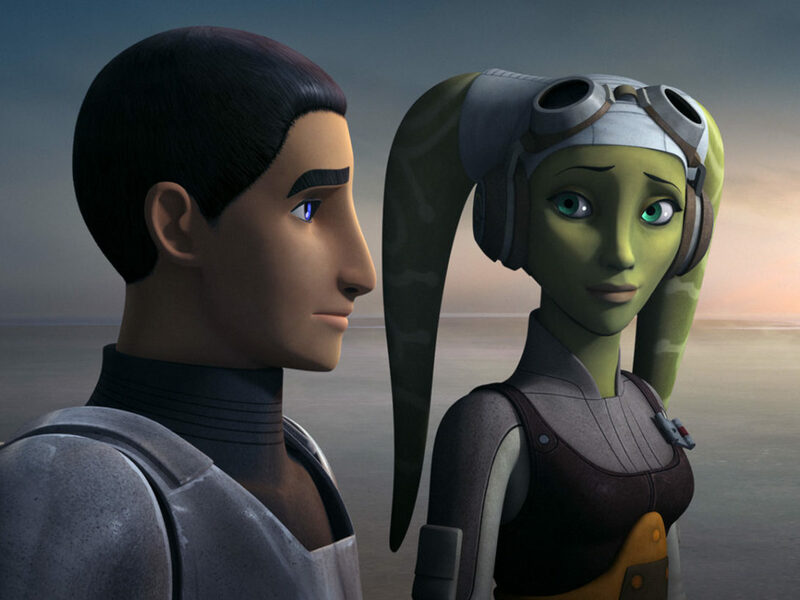 As awkward as the initial contact was, the actual face to face with Sabine’s mother, the Countess Ursa Wren, is worse. Even Sabine is surprised by how cold the reception is. 3. Awkward Ezra is awkward. Family squabbles can be hard on the guests and poor Ezra is totally unable to figure out how to act, well, normal. Especially when he’s trying to “bond” with Tristan. Kanan’s “less is more” is definitely a favorite moment. 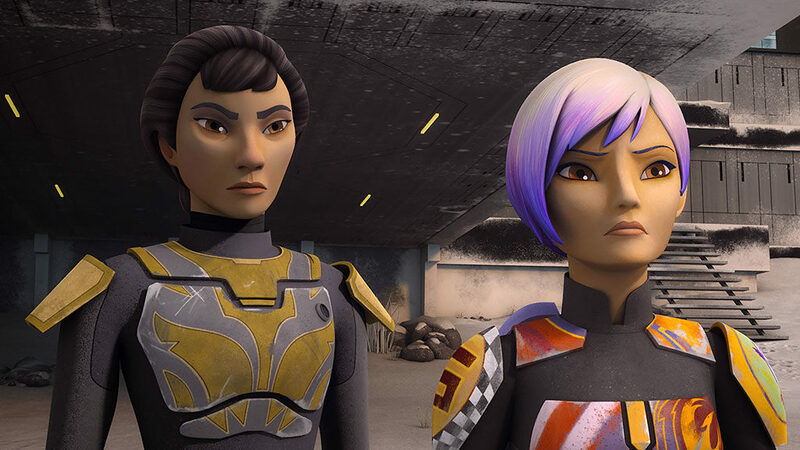 Ursa may think Sabine is just like her father, but it’s clear Sabine got some of her stubbornness from her mother. Even so, Ursa’s anger turns out to be more show than reality when they’re alone. 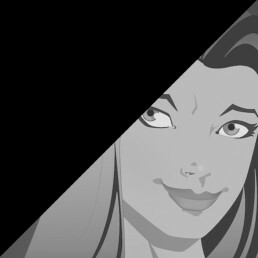 She’s glad her daughter is alive, but her actions also put a strain on Clan Wren. 5. Gar Saxon has plans for the Jedi. 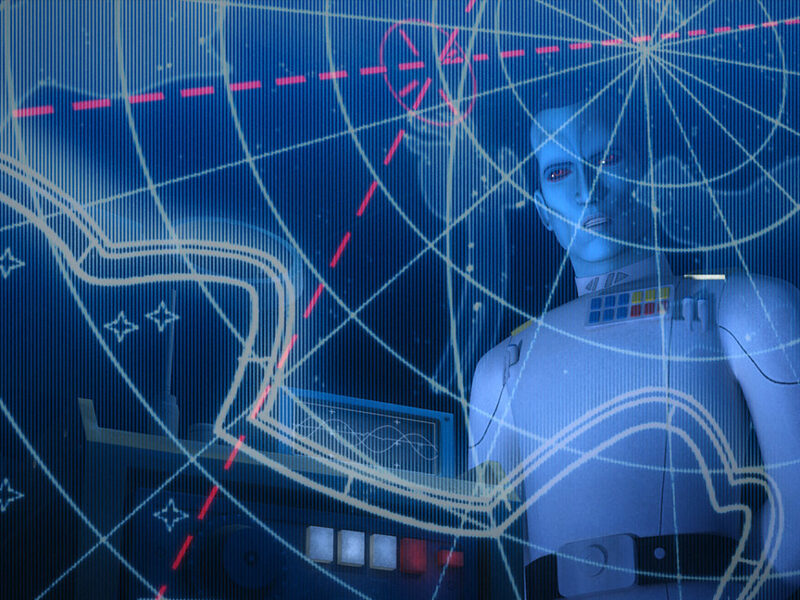 I wasn’t the only one shouting “Don’t trust him!” at Ursa during her holo call with Gar Saxon, was I? 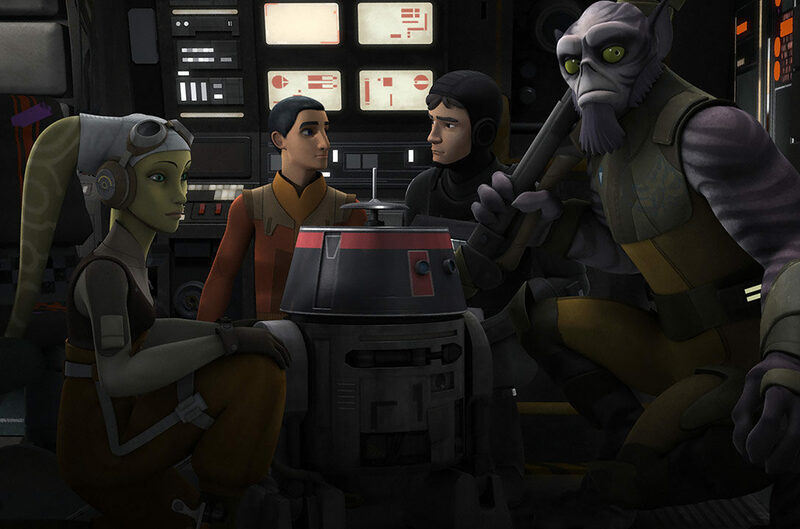 She thinks giving him Kanan and Ezra will mean safety for Sabine and for Clan Wren, but we know better, don’t we? 6. Tristan and his sister have a few things to work out. 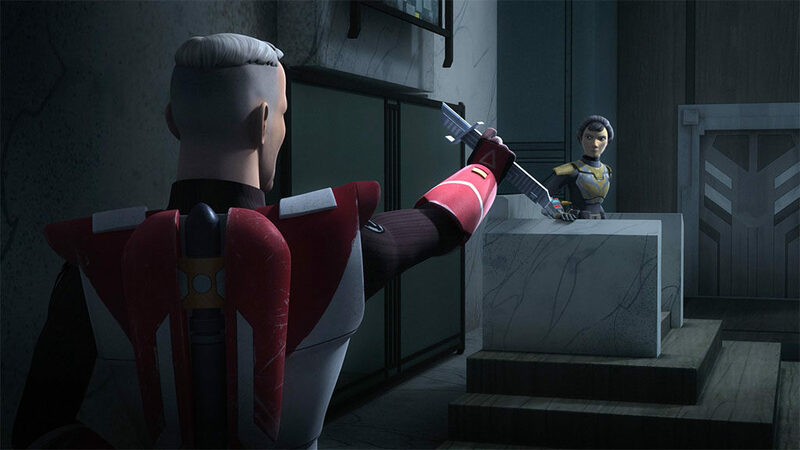 While we’ve just met Tristan, we get a good feel for his relationship with Sabine when they spar. He’s angry. 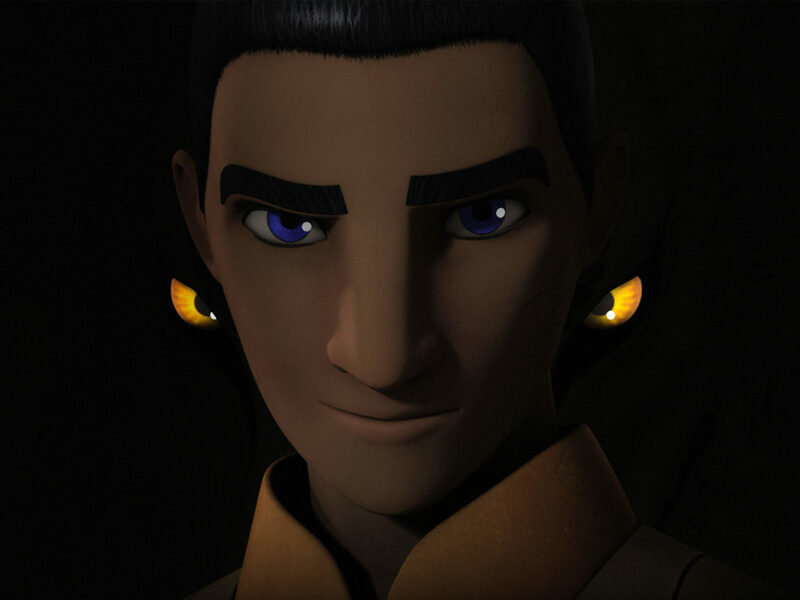 In fact, his fight with Sabine has echoes of Sabine’s fight with Kanan, as he lets loose a flurry of accusations and conflicted emotions. The two of them have a lot of healing to do, but you can see their relationship being rebuilt. 7. Ursa Wren learns where Saxon’s true loyalties lie. Ursa deals with Gar Saxon expecting honor because that’s the Mandalorian way. 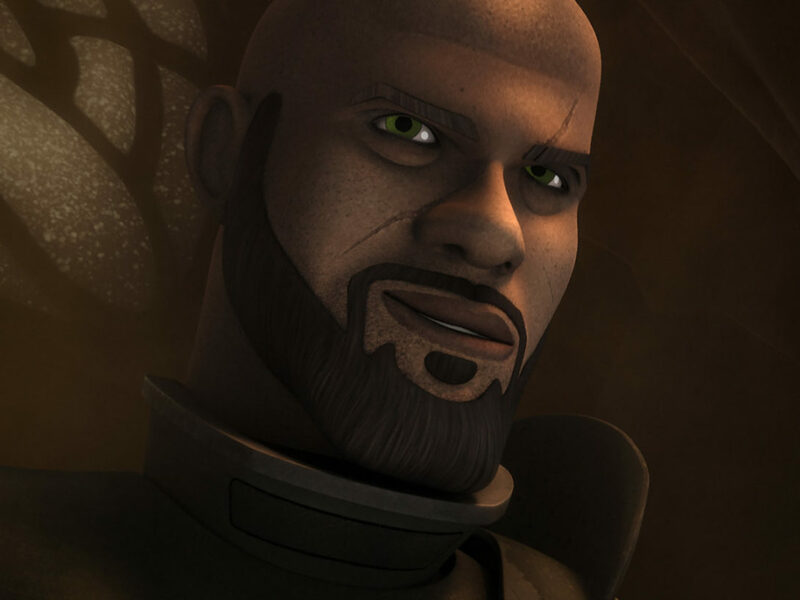 Saxon, however, is no honorable Mandalorian. Once he has the Darksaber, he’s willing to kill everyone, including Ursa. He even goes so far as to offer Tristan a choice to fight alongside him or die with his family. Who does that? Jerk. 8. Fenn Rau and Sabine to the rescue! Just when Saxon thinks he’s won, Fenn Rau busts in (literally!) 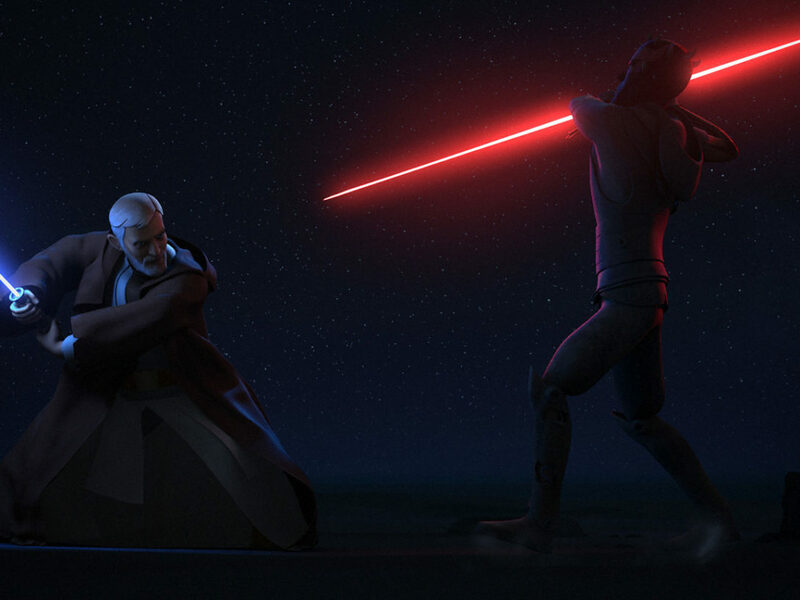 with Kanan and Ezra’s lightsabers and the fight is on! Blaster fire zinging away as Ezra throws Sabine his lightsaber to counter Gar Saxon’s vicious killing blow is such an incredible moment. 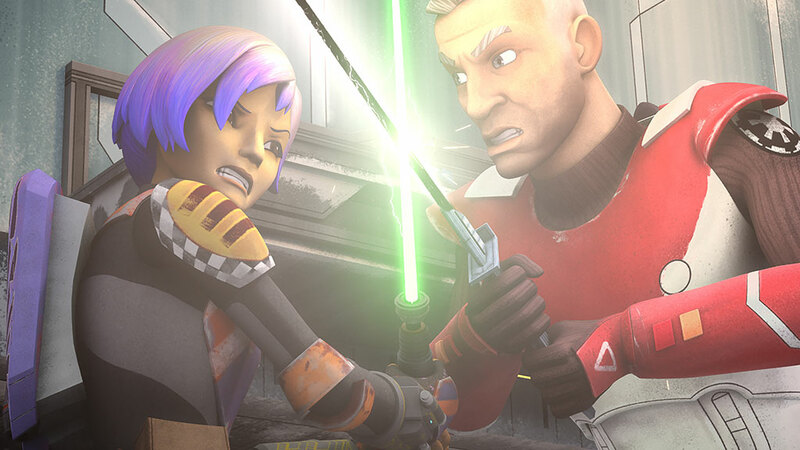 Once they face off, you realize the fight between Saxon and Sabine is going to be a great one. 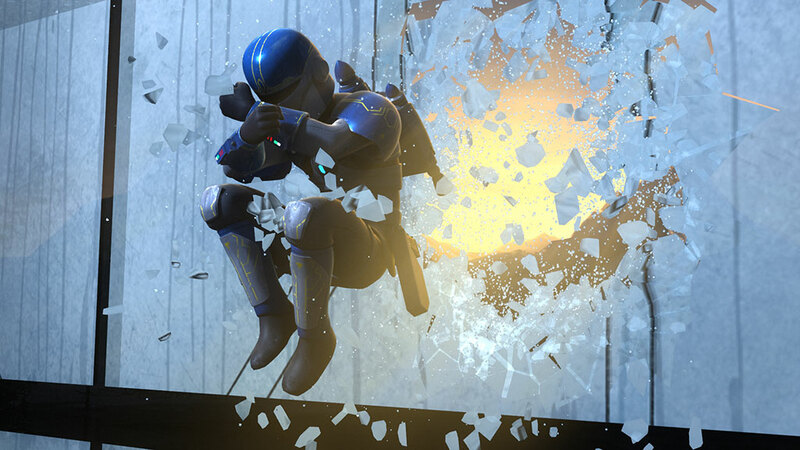 Ezra moves to jump in, but Sabine has to do this alone — and she bests him, showing just how much she learned from Kanan by combining her saber and Mandalorian training. However, we also see how far Sabine has come when Saxon refuses to yield and she chooses not to kill him. Ultimately, he shows himself to have no true honor and Ursa shoots him to protect her daughter. That’s love, Mando style. 10. Sabine Wren comes home. 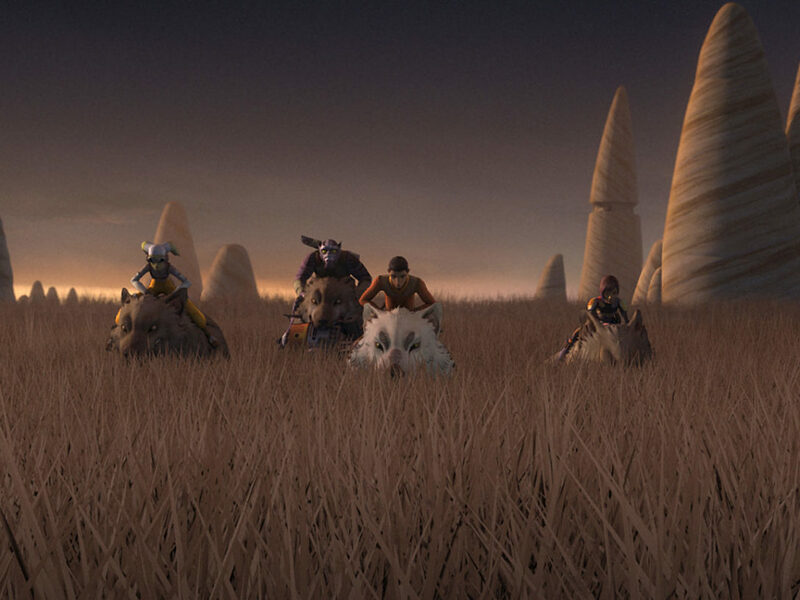 With Saxon dead, Mandalore will be leaderless and in chaos. 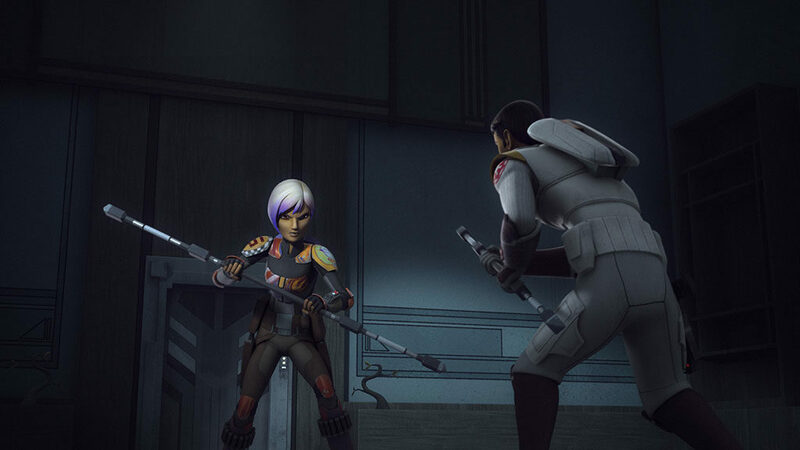 But Sabine holds the Darksaber, which leads her to choose to remain behind. 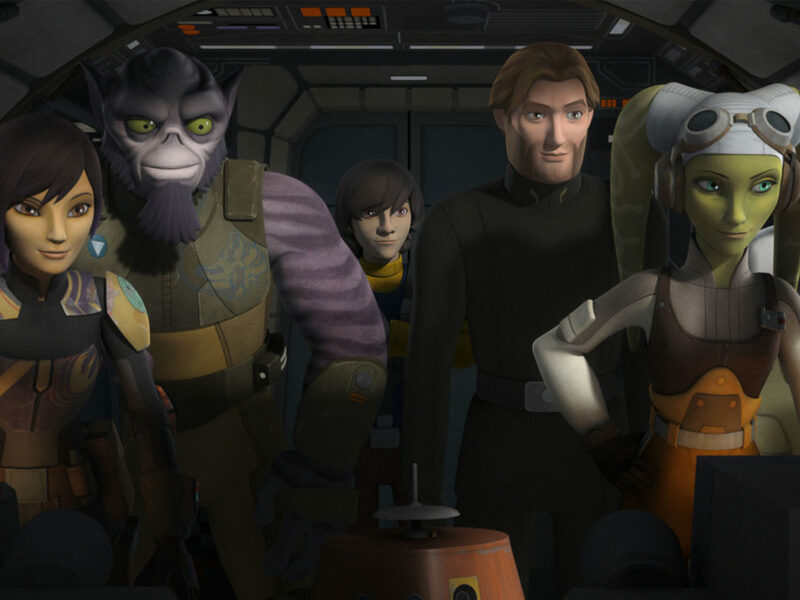 Watching her say goodbye to Ezra, Kanan, and Chopper was hard (poor Zeb and Sabine will be heartbroken!) but she’s doing what’s best for her people. 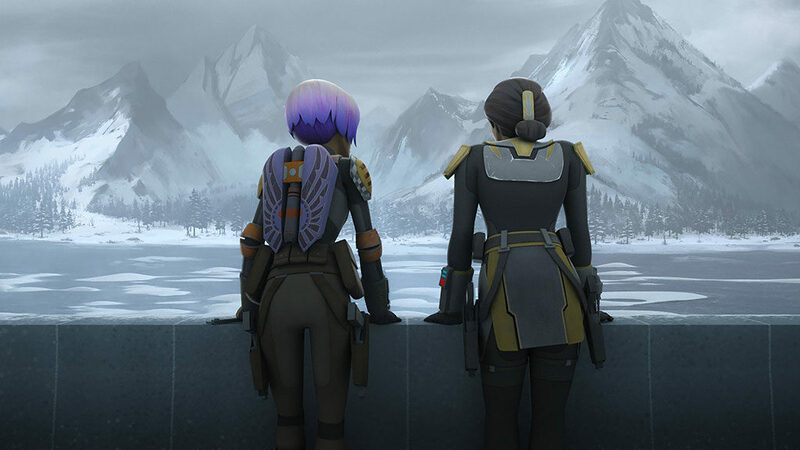 Sabine Wren is determined to find a new leader for Mandalore. Who will it be?